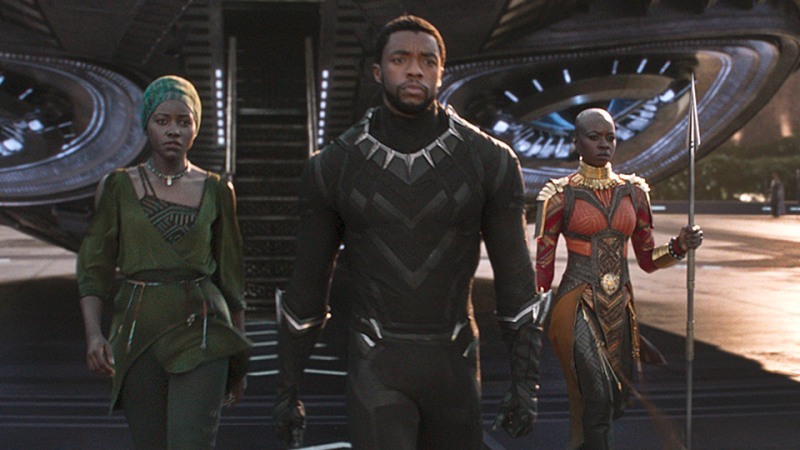 Black Panther continues to make history over a year after its release because it was the first superhero flick to be nominated for Best Picture at the Oscars. The Marvel movie scored seven nominations. In addition to the Best Picture nod they were nominated for Original Score, Original Song (“All the Stars”), Costume Design, Production Design, Sound Editing, and Sound Mixing. Even if the movie doesn’t win any Oscars, it’s still the most successful run for a superhero movie. The movie grossed $1.3 billion worldwide, and its $700 million domestic gross was bigger than that of Avengers: Infinity War, which made $678 million domestically.